Welcome to the Castlethorn Behind The Bricks Series, where we will be shining a light on the suppliers and our own internal team who work behind many of our residential and new homes projects. At Castlethorn, we take pride in what we do and in what our name stands for – our vision is to create communities within each of our developments and our dedicated suppliers and partners help us to achieve that. 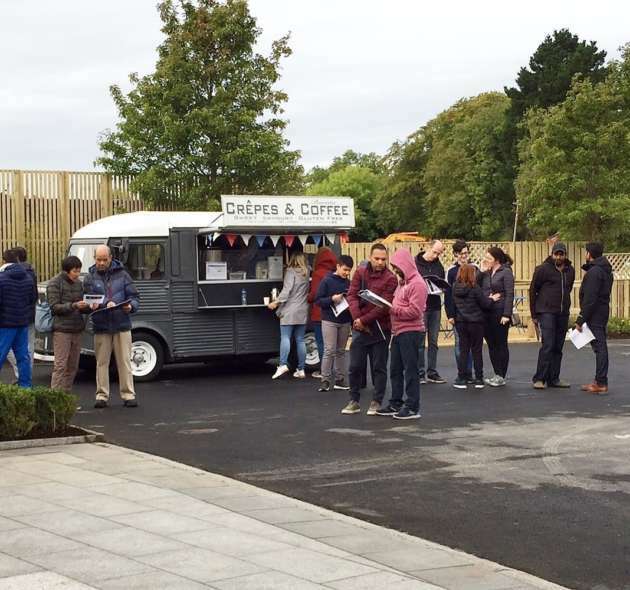 To kick start the series, we recently spoke to Red from Classic Crepes - Red has been supplying hot tea, coffee and his famous cookies to prospective buyers of Castlethorn homes, since the launch of the Alderlie development in Adamstown in 2016. How did you get into the Vintage Coffee Van business? I had run a family bar and restaurant for 10 years, bringing it from a small country pub to running two bars and a very busy restaurant. The hours in this business are notoriously long and tend to be unsociable, so shortly after the arrival of our children I decided this wasn’t the life for our family. I enjoy attending Music Festivals and figured that I could put my skill set to good use by running a small food truck which would allow me to work when I wanted. Just as people go to Ballymaloe Cookery School to learn how to cook I took myself off the France to a Crepe School in Brittany – the home of Crepes and Galettes (savoury crepes). There I learnt all the skills and knowledge to run a Crepe enterprise. I also attended a Barista School to similarly learn all about coffee. Armed with these two new skills I went about sourcing, reconditioning and equipping a vintage Citroen HY van and 18 months later I hit the road. What was the first Castlethorn development you worked on? Alderlie, Adamstown in March 2016. A very busy launch on a cold day so my creamy cappuccinos and hot chocolate (with cream and marshmallows of course!) went down really well! How does working at a new homes launch differ from your normal day-to-day routine? However, for the Castlethorn jobs I can focus solely on serving great barista coffee and yummy cookies to people. This allows me much more time for interaction with potential purchasers and effervescent actual purchasers. What’s the most interesting thing you ever heard at a launch? What are people’s favourite part of the Vintage Van? People love the uniquely shaped bonnet of the van - it always seems to get a lot of attention from people posing for happy snaps in front of it! How many coffees do you usually serve? Anything from 80 to 250 cups of coffee, depending on the size of the crowd. What do you think of Castlethorns houses? Castlethorn homes are ‘well-built houses’, and that’s not just my opinion it’s the comment I hear most from potential purchasers. I remember at an Adamstown event, overhearing some of the existing residents chatting with prospective buyers over a cup of coffee near the van – they were all saying just how happy they were with the quality of their homes and how good an investment it had been to buy in a Castlethorn development. 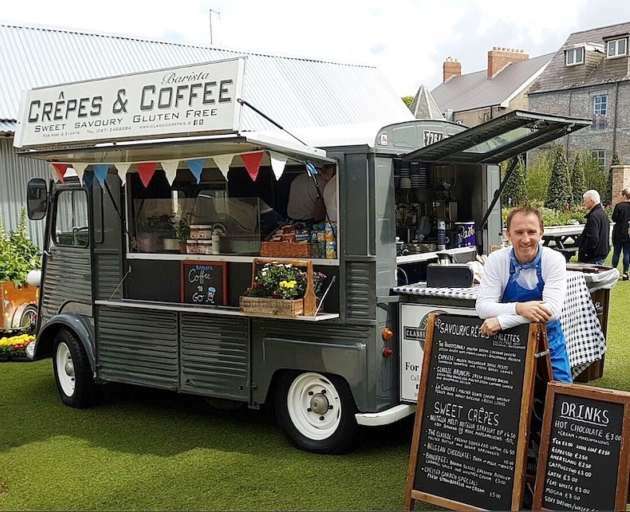 Classic Crepes have been working with Castlethorn, since 2016 – describing the company as an authentic French Mobile Creperie, Red serves hot beverages and tasty treats at the launch weekends of some of Castlethorn’s residential new homes developments, all from a fully reconditioned 1970s Citroen HY Van. For more information check out http://www.classiccrepes.ie/ and make sure to look out for Red and his van at some of our upcoming launches..! Stay tuned for the next interview in our Behind The Bricks Series….